NTA UGC NET Exam Results Released at ntanet.nic.in 2018/ NTA UGC NET Results, Answer Keys, OMR sheets, Question Paper at NTAnet.nic.in 2018: NTA is going to release the NTA UGC NET Answer keys and OMR sheets on the official website at NTAnet.nic.in. Candidates NTA UGC NET who have appeared for the examination on (Exam dates: December 18 to 22, 2018, can now check the answer key and) download the same online. The Board would release the OMR sheets in scanned copies online as well. Candidates can download these from the official website of NTA NET at NTAnet.nic.in on January 5, 2019. Candidates are allowed to challenge the recorded responses if these differ from the ones they had marked on the OMR sheet. The challenge if any of scanned images of OMR answer sheets & answer key will be accepted online only. 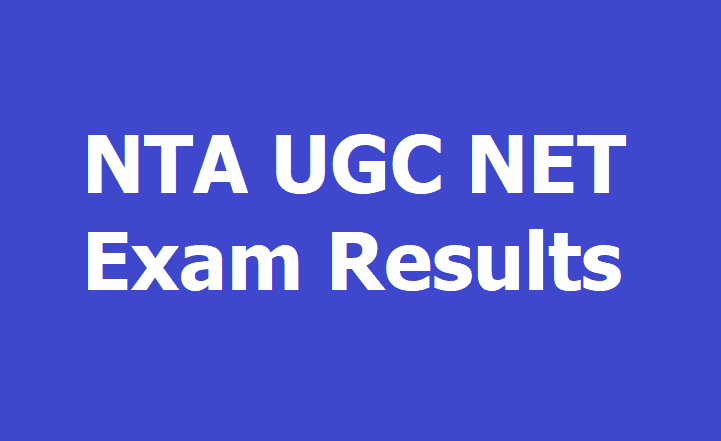 UGC NET December 2018 Results: The National Test Agency (NTA) has declared the results of UGC-NET 2018 December examination on its official website. Candidates can check their results on ntanet.nic.in. The UCG NET examinations are conducted twice a year. The newly-formed NTA was given the responsibility of conducting the examination for the first time. The exams were conducted between December 18 and December 22, 2018. Reportedly, over nine lakh candidates had registered for the exam in 85 subjects. The examinations were conducted across 598 centres. A total of 742 observers, 295 city coordinators and 24 state coordinators were deputed at these centres to oversee the smooth and fair conduct of examination. According to NTA, the result has been declared in record time to facilitate the quick employment of eligible candidates. The NTA had introduced computer-based examination for the first time to reduce the burden on the candidates. The agency had also tightened security at examination halls with the use of over 8,000 CCTV cameras and real-time surveillance. UGC NET December 2018 Exam Results: National Testing Agency (NTA) has conducted UGC NET 2018 exam for the first time from December 18 till December 22, 2018 in two shifts. The UGC NET results 2018 will be declared by the agency on or before January 05, 2019 as per the schedule. Candidates who have appeared in the examination need to visit nta.ac.in to check their UGC NET Result 2018 on the prescribed date. From this year the examination was conducted as Computer Based Test (CBT) and consisted of two papers. NET/SET/SLET shall remain the minimum eligibility condition for recruitment and appointment of Assistant Professors in Universities/Colleges/ Institutions. Those who will clear the paper will be eligible for a junior research fellowship or can be considered for the post of assistant professors. There were only 2 papers - paper 1 and paper 2. In order to appear for NET, a candidate needs to secure at least 55 per cent marks in Master’s degree or equivalent examination from a recognised universities/institutions. There is five per cent relaxation for OBC, Scheduled Caste(SC)/Scheduled Tribe(ST)/ persons with disability (PwD) category and transgender candidates who have secured at least 50 per cent marks (without rounding off). Those who are pursuing their Master’s (in the final year) can also apply. NTA UGC NET Exam Results: UGC NET 2018 Complete Result has been released on the official website of NTA UGC National Eligibility Test (NET) - ntanet.nic.in. NTA had organized the UGC NET 2018 exam on (Exam dates: December 18 to 22, 2018), last month, followed by declaration of result on January 05, 2019. NTA has just now released the complete result that shows the number of marks obtained by candidates in Paper 1, Paper 2 along with the Grand Total, Percentile and Qualification for Assistant Professor only or Junior Research Fellow plus Assistant Professor post. A total of 55872 candidates have qualified as Assistant Professor, JRF & Assistant Professor both. Candidates can check the complete result by following the instructions given below. How to check UGC NET 2018 Exam Result? More than 9 Lakh candidates had appeared in the NTA UGC NET December 2018 examination that was organized in 91 cities across the country. The qualified candidates will soon receive the NET 2018 qualified certificates from NTA.